Peer pressure can be a wonderful thing sometimes. Especially when the nice lady at the comic book store plops this issue down in front of me with a look on her face that clearly indicated that my freedom of choice has been taken away from me. Originally, I had zero interest in this series. The way death is handled in comics has slayed any sense of apprehension or mourning for a character in this situation because they always come back to life. 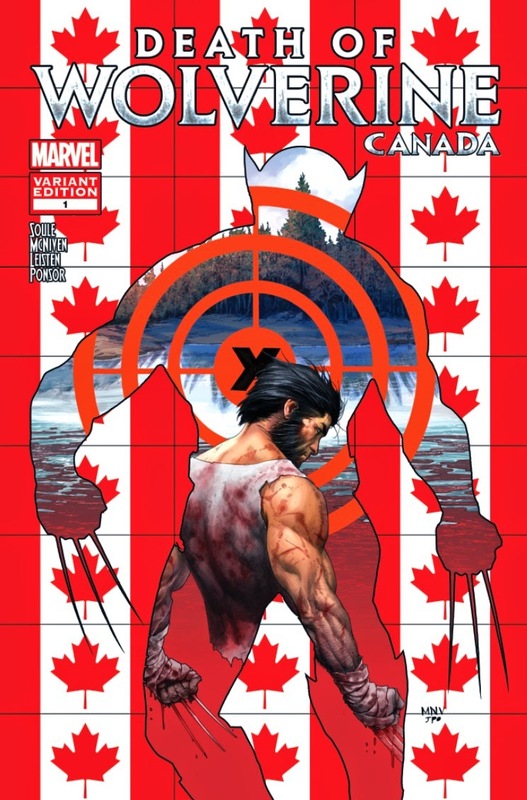 Charles Soule and the rest of the creative team on this issue did a stellar job at not only making you care about Logan’s time left with us, but also sharing with us the pain and anguish he will endure on the way out. Every page, panel, and word balloon increases the stakes for our Canadian hero. His healing ability is gone and, as a result, there are other issues plaguing him, one issue being the fact that if he chooses to fully defend himself, his date with the grim reaper will only come that much sooner. The artwork is truly something to behold and every image meant something and did a great job of executing those crucial moments. Reed Richards’ cameo is an example of how the important moments carried such weight and the way he delayed telling Logan the final piece of bad news was drawn with detail and burden. My favorite scene in the book comes when Nuke arrives on the island to take out a seemingly declawed Logan, only to find a plethora of bodies from the likes of A.I.M., The Hand, and other groups that came before him. The greatest thing the creators accomplished was making the reader feel every ounce of pain ravaging through Logan’s body, leaving you genuinely worried about him. I can’t remember the last time I was concerned for a super hero’s safety. I think this speaks volumes to how well Death of Wolverine was produced because while he will be resurrected at some point, the road along the way towards his finale already boasts a sense of bereavement that is gripping and chocked full of exciting possibilities.